Many business owners might be reading this and saying, “This is EXACTLY why we’re not involved in social media!” However, what so many businesses fail to see is, this is exactly why they should be involved. Here is why businesses need to be involved in social media and pay attention to what’s being said. 1. 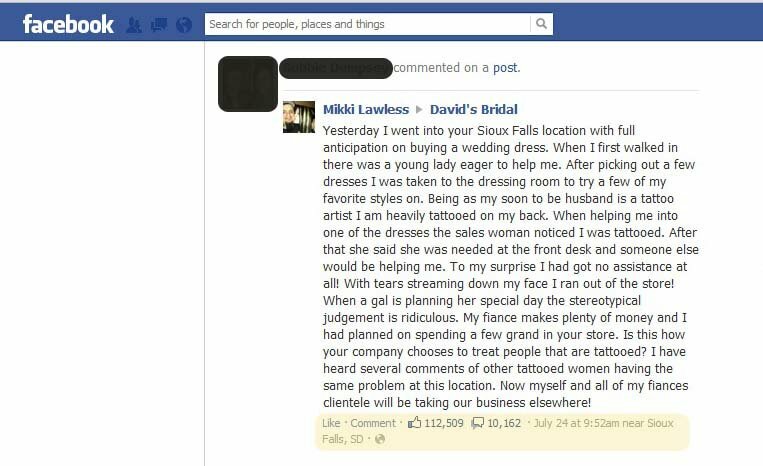 Social media gives businesses a built-in audience but it takes work to get that following– David’s Bridal posted a response to Miss Lawless’s comments making sure their customers knew they heard the message from Lawless and were thoroughly investigating. This response is EXTREMELY important to the 362,000 fans they have on Facebook and even those that aren’t fans. I’m not a Facebook fan of David’s Bridal and you can bet I’m not the only non-fan who looked to see if they responded. 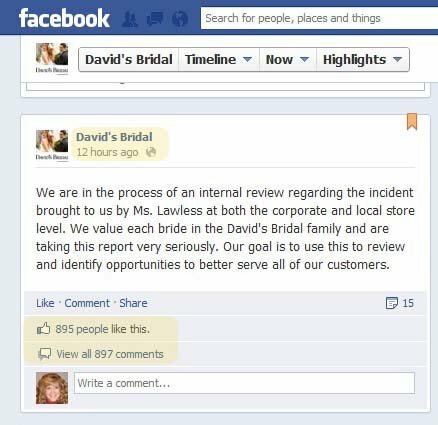 If David’s Bridal hadn’t been active in social media, or at least Facebook, how quickly could they have reacted to mitigate the problem. As it were, it already took them more than a week to respond, which is pretty major error, but they are responding and you can bet people are listening to what they are going to say. Most businesses already have a Facebook page, but many haven’t been claimed by the business and people can make comments that others see, and the business is totally unaware. Most businesses also have a Google+ page, many of those are also unclaimed leaving them vulnerable if they aren’t paying attention to what’s being said. It takes work, persistence, interaction and consistency to build a good following, but it can be worth the effort. 2. Social media helps make businesses better – Let’s go back to the days when social media wasn’t available and people sat around the coffee table complaining about their bad customer experience. Those listening tell others and those others tell more people and the ball keeps rolling. Pretty soon all these people know how bad the business was, but the accused business is still clueless. A problem can’t be fixed if you don’t know it’s broken. Social media has given people more courage to speak out about something that’s broke in a bigger way. This isn’t a bad thing if you’re willing to take action, fix it and appreciate that you know instead of getting defensive and fighting back. How you handle a complaint is just as important, if not more so than the complaint itself. Social media makes businesses better because they are more accountable and can fix problems they may have been unaware of without social media. 3. Social media reviews make a difference – Did you know that 72% of as much as personal recommendations? 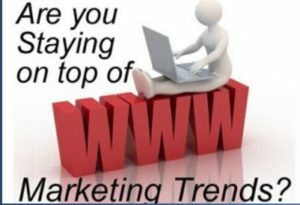 What people are saying is EXTREMELY important whether it’s about a product you’re selling, the service you’re providing or the company itself. It is vital that businesses monitor what people are saying. 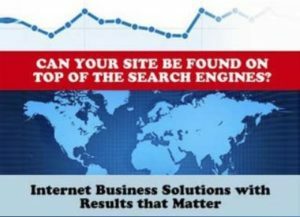 This can be done by setting up your social profiles, establishing Google alerts, and even using tools like Hootsuite to let you know when someone mentions your business, your name as the owner or even your competitors business. 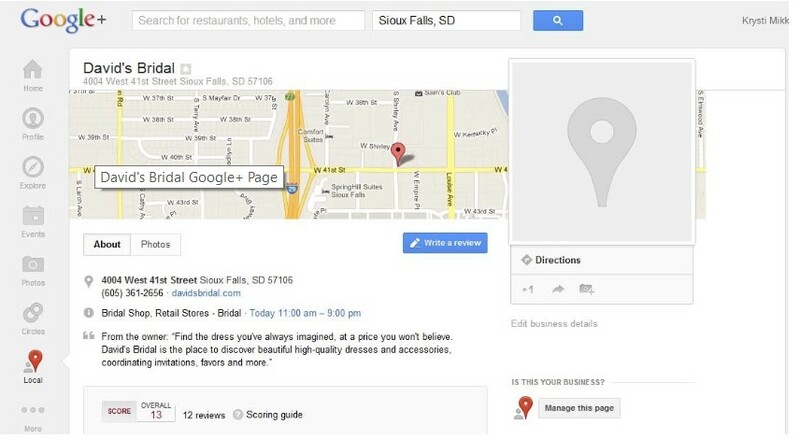 David’s Bridal in Sioux Falls hasn’t claimed their Google+ page and there are 13 reviews on there. They may not be paying attention to what’s being said there, but you can be certain that their customers are reading them. Reputation management is one of the most important aspects of social media marketing. If you have questions or would like help, feel free to contact us today and we can talk about your social media marketing strategies! Ask about our FREE social media marketing strategy kit!